While the conventional financial system is recovering from the fallout of the international financial crisis Islamic finance on the other hand is growing rapidly. Statistics show that global Islamic banking assets have grown approximately 10% per annum from the mid 1990s when they were about US$150 billion. Today, global Islamic financial assets stand at approximately US800 billion. Industry experts claim that over the next decade the sector may reach US$4 trillion. The growth of Islamic Financial Services has been driven by a growing Islamic population that is enjoying a rapid rise in purchasing power, due to better education and employment opportunities. This has been supported by financial engineering and innovation in the provision of Islamic financial products and services. No longer is Islamic finance limited to simply the provision of interest free bank accounts but includes a whole spectrum of such as fund of funds, exchange traded funds, hedge funds and real estate funds are gaining wide acceptance. These new products have increased investor awareness of Islamic products. The same is true in the corporate sector whereby Islamic financial innovation has developed products while being shariah compliant meet the needs of the modern business. The financial innovation has been greatly assisted by financial centers and their regulators who have understood the importance of the sector and its unique structure. In this respect Dubai has become the leader and pioneer with the first recognized Islamic bank being established in the country, the first Islamic stock exchange and not only does it have the greatest number of listed Islamic bonds or sukuks, but also the largest ever sukuk issued. Moreover, with its business clusters such as the Dubai International Financial Centre (DIFC), this has been a catalyst for the development of diverse range shariah compliant products. The Centre has allowed a number of Shariah compliant firms to develop their products and services. In terms of regulation Dubai through the Dubai Financial Services Authority has developed advanced level of regulation to supervise the firms within the DIFC. Dubai has shown that it can be innovative through the development of new shariah compliant products to meet the needs of an ever increasing and sophisticated investor. "The expertise of Dubai in the area of Islamic Financial Services is something that we hope to capitalize through our export facilitation services"’ commented Engineer Saed Al Awadi, the CEO of Dubai Exports, an agency within Dubai Department of Economic Development. Al Awadi continued to state that, "we have carried out two very successful trade missions in Islamic financial services which have linked our firms with opportunities in foreign markets". Dubai Exports held a seminar to highlight Islamic Financial Opportunities in Germany and France which are two of the main economies within the Eurozone. The seminar was aimed at the very senior management within the Islamic financial services sector. The German market poses great opportunities for Islamic Financing, with a population of 4 million Muslims that holds wealth of up to €25 billion. This potential is further bolstered by a significant rate of saving in Muslim households, which at 18% is nearly double the national average. Almost 83% of the total Muslim population identifies as religious, and consequently serves as an ideal customer base for products offered in Islamic Financing. This is even with a large demographic of young residents, where a 77% majority of the Muslim population falls between the ages 14 to 49 years. "More than 70% of Muslims in Germany responded in a survey last year that they are interested in Islamic Finance products, and of these nearly 60% of respondents would consider availing of such services if offered by an existing German bank," stated Dr Baltz, who is a senior lawyer with Amereller legal Consultants and one of the speaker’s at Dubai Exports’ seminar. Dr Baltz further added that, "A chief advantage for the development of Islamic Financing in Germany is the absence of any restrictive regulations that could hinder the practices and products of Islamic banking. 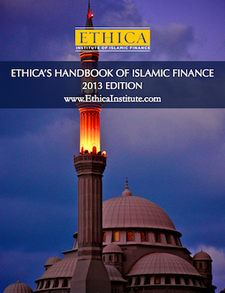 This is partially because the Federal Financial Services Authority (BaFin), Germany’s banking regulator did not recognise Islamic Financing until much recently, and thus there were no specific regulations surrounding Islamic banking products. " Meanwhile, Dr Goepfrich, CEO of AHK Germany announced that, "Dubai with its expertise in the area of Islamic Financial services is an ideal partner for Germany firms seeking to enter the sector." Although, foreign expansion is natural for Dubai’s financial institutions they must however be aware of the implications of their domestic regulatory commitments. Judy Waugh from Al Tamimi and Company spoke at the seminar regarding this aspect. Waugh stated that, "sensible foreign expansion implies that firms adhere to both the home regulation as we alls that of their host country." The door to foreign expansion has been possible as in recent years, a number of countries have taken the initiative of making the necessary changes to their legal and regulatory systems so as to allow Islamic financial institutions to be established and recognized at par with conventional financial firms. "These changes provide considerable opportunities to our firms and we hope to capitalize on them" commented Al Awadi who also announced that AHK and Dubai Exports will be leading a Trade Mission consisting of financial institutions from Dubai to Germany and France in April of this year. This entry was posted in Current trends and news, Financial crisis of 2008, Growth. Bookmark the permalink. Shukran brother for this useful information.